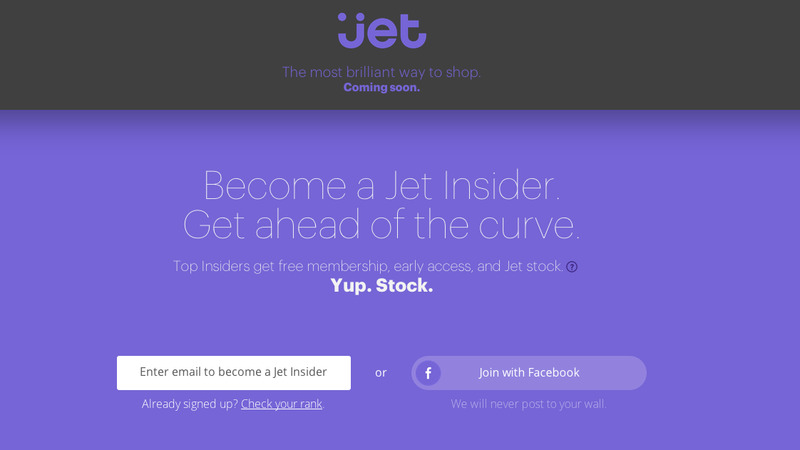 Jet, the mysterious stealth e-commerce startup that raised $US80 million earlier this year, has an unusual technique to get people talking about it: It’s offering thousands of dollars worth of stock to normal people who refer a lot of their friends to the service, as well a early access and six-month free membership. The company, which promises to be “the most brilliant way to shop,” is the brainchild of Marc Lore, the former CEO of Quidsi. Lore promises that Jet will be a “new kind of e-commerce experience,” and previous reports hint it could price products dynamically, based on where they’re stored in relationship to the customer. Right now, people who visit Jet.com can enter their email address to receive early access to the product when it officially launches, a six-month free membership, and the opportunity to win their way into the upper echelon of people who will get early stock by sharing their unique code and getting other people to sign up. The ten people with the most referrals will get 10,000 shares and the number one referrer will get 100,000 shares. Jet says that’s the same amount it has given some of its earliest high-level employees. This move makes sense considering how Lore has previously said Jet will need a big customer base to succeed. He told Re/code’s Jason Del Rey that a large customer base would be crucial for attracting retailers to the site — according to an older Re/code report, Jet plans on selling the same type of products seen on sites like Amazon, while undercutting them on price. 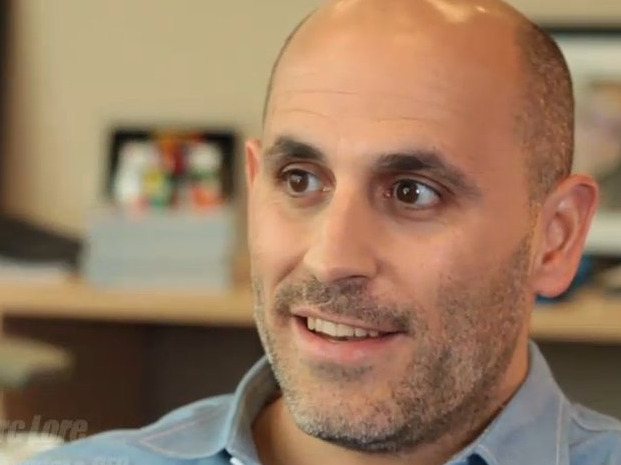 Prior to founding Jet, Lore worked at Amazon for three years after the company bought Quidsi for $US540 million in 2010. Before the acquisition, Amazon had more or less declared a pricing war against Diapers.com. Amazon started offering deep, deep discounts on diapers, trying to undercut the smaller company. This was not the first time that Amazon was willing to lose money temporarily to stave off a competitor. Jet’s method of spreading the word may be unconventional, but Lore has made it clear he’s willing to spend a lot of money on getting the company’s name out there. He told Re/code’s Del Rey that he wants to raise $US600 million for Jet, and that the company wants to spend nearly that much on marketing over the next five years.